Five Dice is a fun, fast-paced dice game! 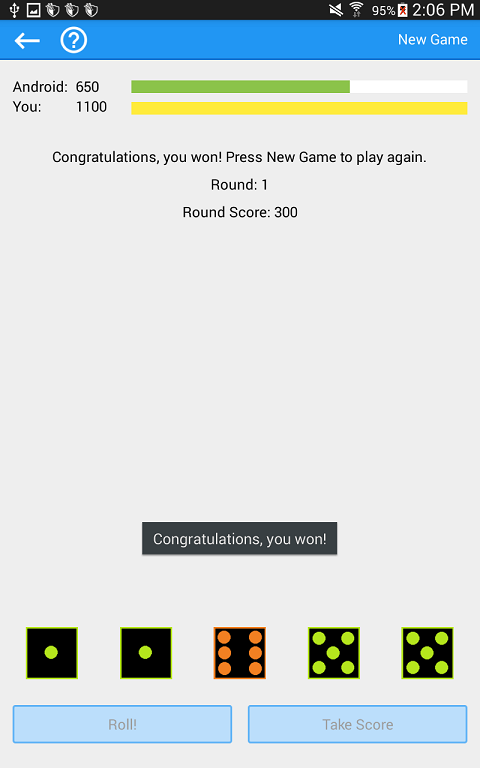 The object of the game is to be the first player to reach 1000 points. 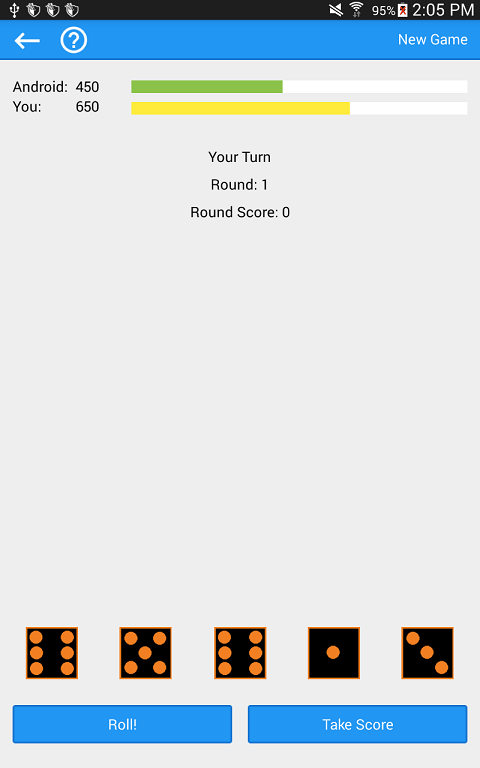 You roll 5 dice each turn; each 1 is worth 100 points and each 5 is worth 50 points. As long as you roll at least one "1" or "5", you can re-roll the other dice. 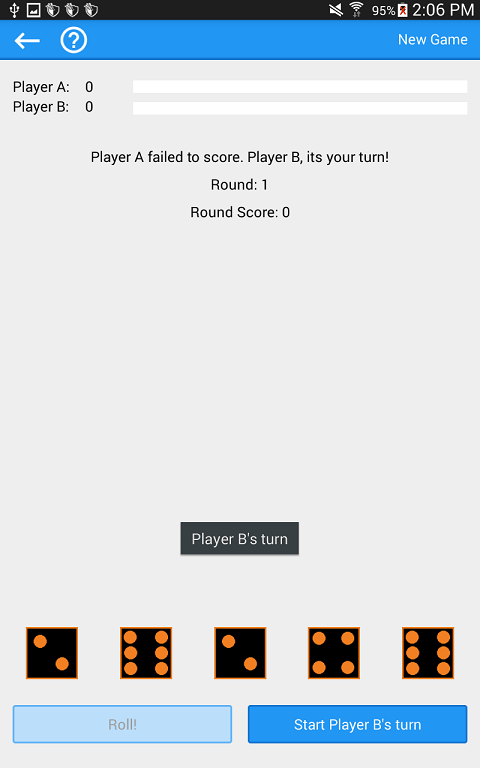 If you fail to roll a "1" or a "5", you lose all your points for the round! With each roll, you must decide whether to voluntarily end your turn and lock in your points... or risk going for more! 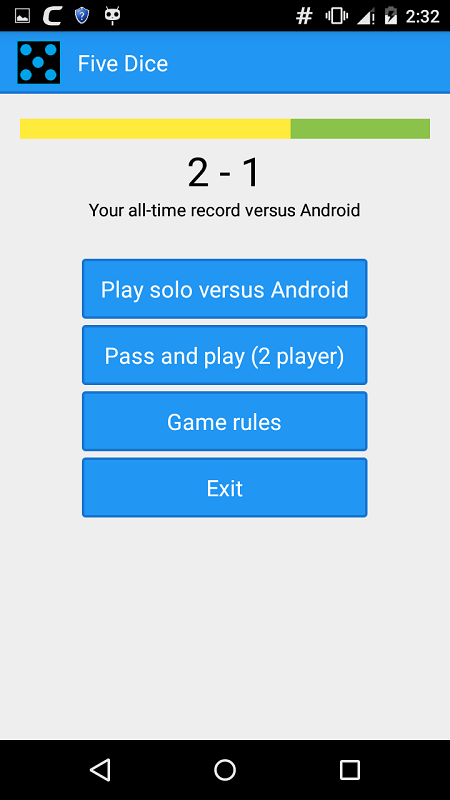 Detailed rules are included in the app. 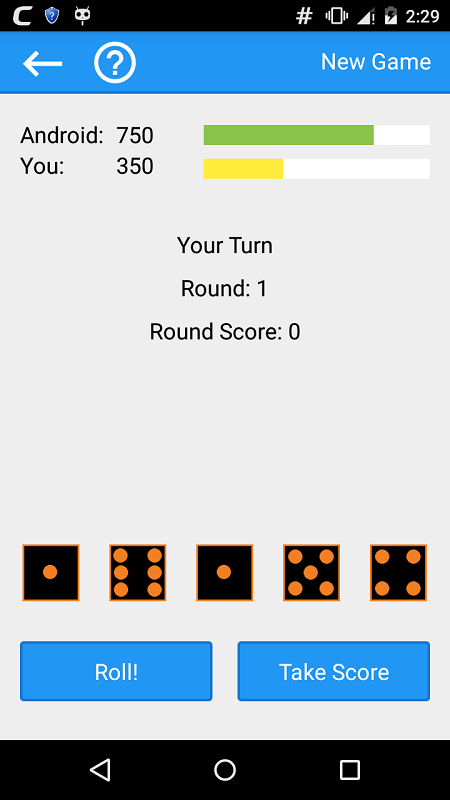 Five Dice can be played solo in human vs computer mode or with 2 human players in pass-n-play mode. The first player to 1000 points wins the game! Please feel free to rate this app and provide feedback!